You can cancel the subscription from our services at least 3 days prior to the automatic renewal. In such event the services will be discontinued upon the expiration of the respective period that you have paid for. 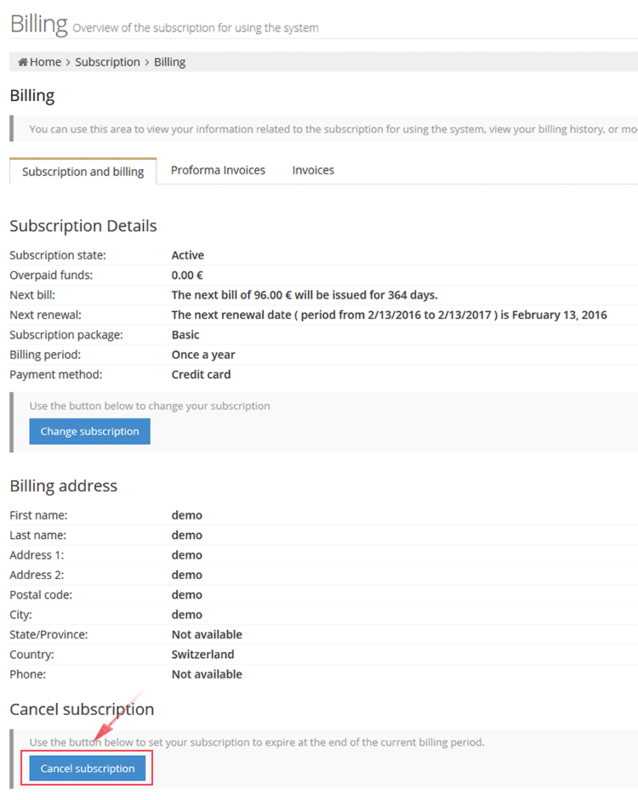 The canceling of the subscription can be done from the “Billing Page” that can be found in the “Subscription->Billing” menu. Click here on the “Cancel subscription” button as shown on the picture below.